Catch the anonymous callers with their name even if it not saved on your phone. Results are returned listing the name and address (if available), a link to show the location on TrueCaller's map, a link to search the result through Bing, as well as the ability to call the number or add it to a spam listing. While I like the ability to add a number to a spam list, there doesn't appear to be any way to manage such a list. 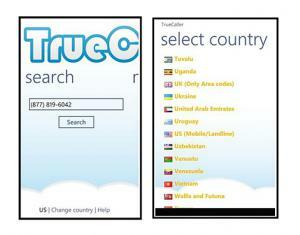 TrueCaller also gives you access to International numbers. Just tap the Choose Country at the bottom of the main page and select the Country you would like to search. For the most part, TrueCaller ran smoothly but from time to time, the app crashed while conducting the search. It's not enough to drive you crazy and hopefully the next update will fix things. There isn't a trial version available for TrueCaller but the full version is only $.99. 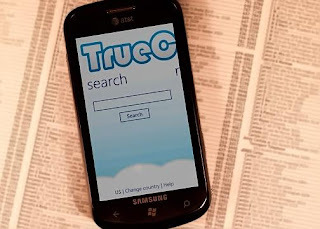 If you need to search phone numbers, TrueCaller is worth a look at. like to look more posts like this .